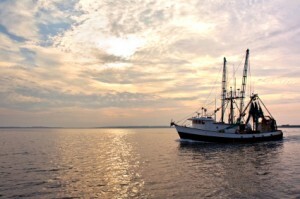 As the Gulf of Mexico “Dead Zone” attests, excessive amounts of nitrogen, phosphorous and other plant nutrients – runoff from farms, ranches, industrial plants, towns and cities – is one of the U.S.’ costliest and most vexing environmental problems. Looking to restore the northern Gulf of Mexico-Mississippi River Basin to something approaching its former glory, federal government agencies in late 2012 led a groundbreaking effort that brought together land grant universities, federal agencies and other stakeholder organizations across 12-states in forming the Hypoxia Task Force. 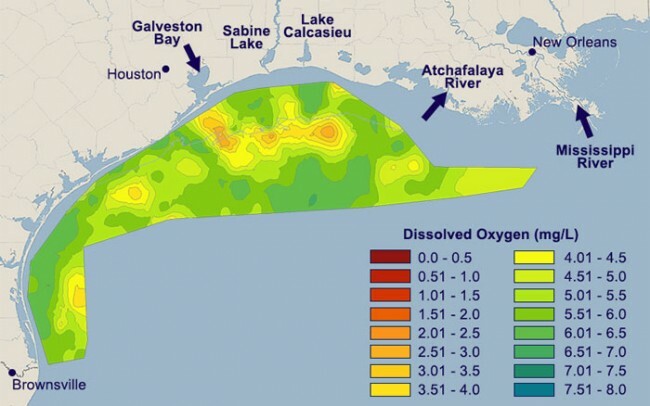 On February 12, the Hypoxia Task force announced it has pushed back the target date for reducing the extent of the Gulf of Mexico dead zone from some 6,000 square miles to 2,000 square miles from 2015 all the way to 2035. On at least something of a positive note, the task force also announced it has come up with new strategies to accelerate reductions in nutrient levels in affected waterways. 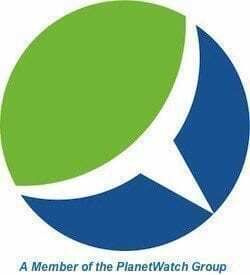 Furthermore, “each state has outlined specific actions it will take to reduce nitrogen and phosphorous in the Mississippi-Atchafalaya River Basin from wastewater plants, industries, agriculture, and storm water runoff,” the task force stated in a press release. Scientific research indicates a 45 percent reduction in the amount of nitrogen and phosphorous running off into the Gulf of Mexico is needed to reverse the lack of oxygen in Gulf waters the excessive amount of nutrient runoff leads to. Progress toward that goal has been made in certain watersheds the Hypoxia Task Force notes. Aiming to spur action and realize its goals faster, the task force is now aiming to reduce nutrient levels 20 percent by 2025. “It’s going to take time to vastly improve water quality in very large bodies of water like the Mississippi River and Gulf of Mexico. Federal agencies and states are committing to comprehensive actions and increased resources to spur progress on the ground and in the water,” Ellen Gilinsky, senior advisor for Water for the U.S. Environmental Protection Agency and Hypoxia Task Force co-chair, was quoted as saying.